A gentle skin polishing exfoliant formulated for daily use to polish away dry skin and dead skin cells, nourish and cleanse leaving facial skin looking radiant, calm and smooth, perfectly prepared for moisturizing. Glucomannan from Konjac absorbs oils and impurities detoxifying delicate facial skin while rejuvenating smoothing and rebalancing, leaving facial skin looking radiant. Polylactic Acid from corn starch gently assists delaminating and dissolving dry and dead skin cells leaving facial skin looking refreshed and revitalised. Pink Grapefruit rich in free radical fighting antioxidants: Vitamin C flavonoids noticeably improve the appearance of skin effected by oxidative stress while polyphenols from Peppermint Leaf leave facial skin looking calm and soothed. I have used just about every facial exfoliant on the market. I have combination skin that tends to be on the dry side during the winter. My skin is also extremely sensitive and most exfoliating products leave my skin red and irritated. I was hooked after the first use of Botanical Beauty. The fragrance is pleasant, fresh, and light and didn't smell like chemicals or medicine. My face was clean and glowing. Most exfoliants strip my skin and leave my face dry and irritated. The morning after the first use, my skin was still glowing and looked healthier than it had in a long time. The first week I tried Botanical Beauty I only used it 3 times a week instead of every day. Within a week my stubborn whiteheads and dry patches were gone and my skin was so soft and radiant. I've been using this for about 6 weeks and my pores are minimized, my dark spots have lightened, I have not had any acne or break outs, my dry patches are gone, and my skin looks and feels amazing! I have received several compliments on my skin and have been asked if I have had Botox, Fillers, or laser treatments. I do not write reviews but this products certainly deserves the highest of reviews. 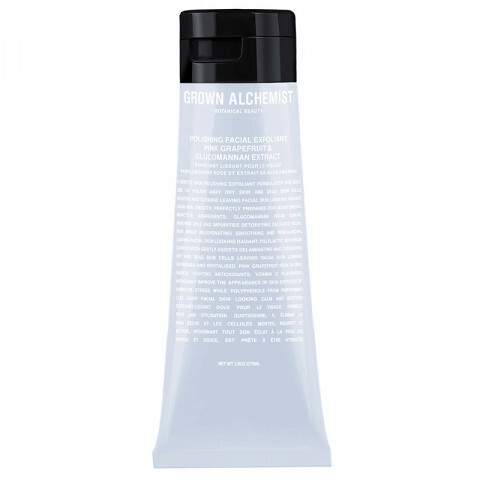 This is also the first Grown Alchemist product I have used. I will certainly be coming back for more!